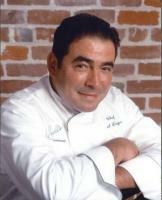 See the gallery for quotes by Emeril Lagasse. You can to use those 7 images of quotes as a desktop wallpapers. We're probably close to reaching 2,000 shows, which is more than Julia Child and Jacques Pepin together. 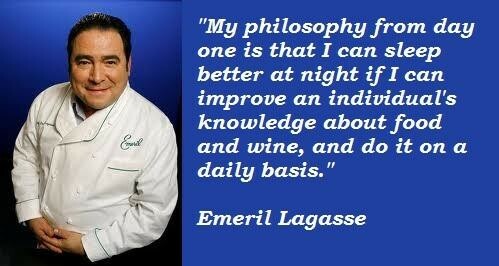 Much more quotes by Emeril Lagasse below the page. I think you have to be careful with spices. Kids' palates can be very delicate, and they might not like things overspiced. 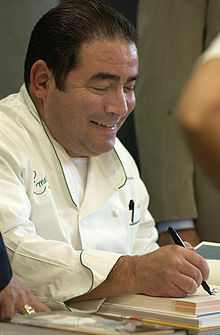 In my cookbooks for kids, I do a milder version of my signature spice blend, Emeril's Essence, called Baby Bam, which has no cayenne pepper. I wouldn't ask any of my employees to do anything I wouldn't do. And I work as hard, if not harder than the rest of the staff, to set an example. I also believe in giving my employees a lot of room to be creative and to express themselves. I'm pretty actively involved with the military because I think they're incredible human beings. If I can give back to them for what they're doing for us, it's a good thing. And I think to have happy soldiers, you need to feed them well. If kids can learn how to make a simple Bolognese sauce, they will never go hungry. It's pretty easy to cook pasta, but a good sauce is way more useful. The premise of 'The Originals' are places that have been open 50, 60, 75, 100 years or longer that are still doing it right that maybe a lot of people, particularly the younger generations, have not even thought about. We're setting up an urban farm for kids on more than 20 acres in New Orleans. We want to make this a world-class educational center for the community. 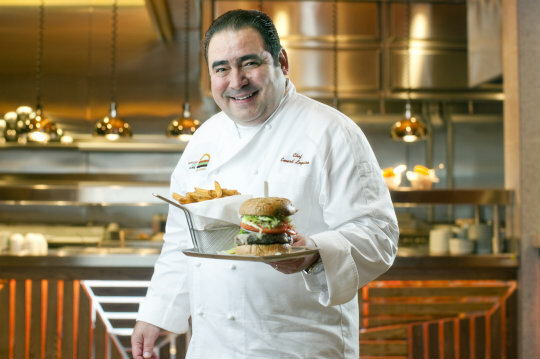 When I first decided to open a restaurant, I was turned down by several banks. 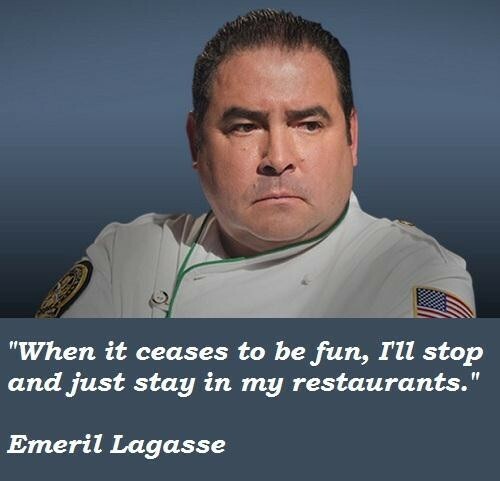 It was the late 80's and many restaurants were failing. I refused to give up because I knew I had a good concept. When I cook with my son, I might chop vegetables and have fun with different shapes. Cooking is a way to teach kids about other things, like reading or math with all of the weights and measures. There are so many things that are part of cooking that are also very educational. Many of my staff have been with me for over 20 years. I have a great team, and I make sure they feel respected and appreciated. 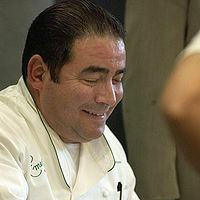 I think many cooks are afraid of undercooked meats. A good thermometer is a cook's best friend.